the game does look very promising and I like the fact he made it also with moddability in mind which I did, it took me a while to figure it at all but it is not hard to do. 2) Ignots are heavier than the ore you get them from? How does that work? Either ore should be heavier, or ignots lighter. Generally speaking, gunk is removed from ore to make ignots; once you've gotten the metal out of the ore and tossed the slag, you've reduced the weight (due to tossed slag) not increased it. 3) There are recepies for spellbooks - and they seem to be intended to be made at a spell table - however, the spell table doesn't have the option for that sort of crafting (I'm unclear how to fix this - for my own copy, I moved those recepies to Alchemy). I think I discovered this game when development was coasting to a stop. Amuzen seemed to stop by this forum sometimes the summer I discovered it. It's not a bad game, but I was shocked when I saw the old 0.5.0 version, as it looked so much better; like what I was hoping for LoS to develop into. Never successfully compiled that version though. I have started looking at this game again. I have hardly the slightest amount of coding skills (don't really know anything but Arduino), but I have just figured out some of the .json files in the data/lipsofsuna directory. Might figure out a bit of the simpler lua scripts soon, even though I never used that language. I just tried modifying the enemies stats. I also liked to remove the burdening file ever since I first started this game, as it aint nothin but a buggy nuisance. I'm curious though, how did you get the Blender exporter to work? Whenever I try it, I just get errors. 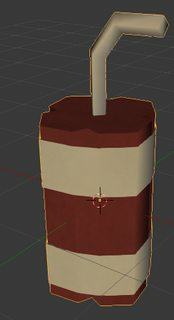 Could it be my Blender version (2.75a)? I would love to know how to solve that.